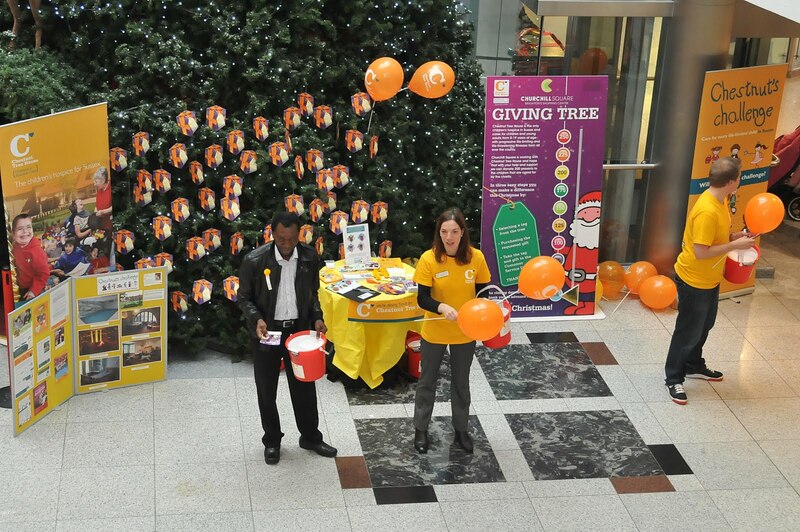 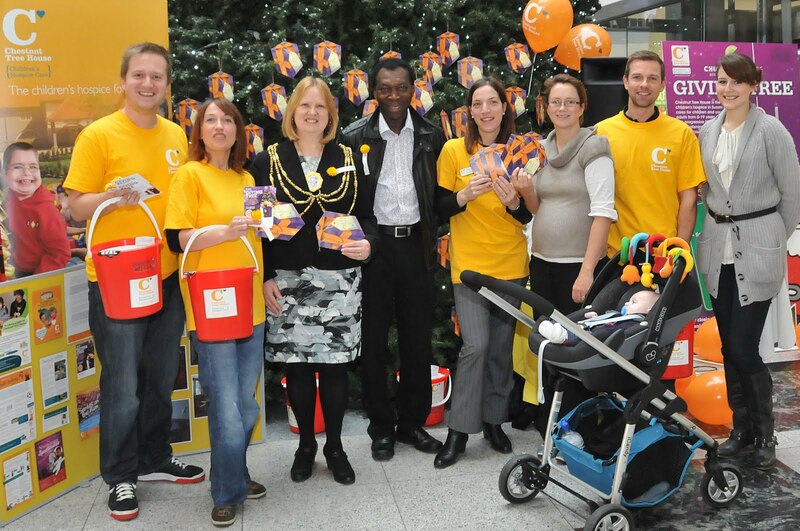 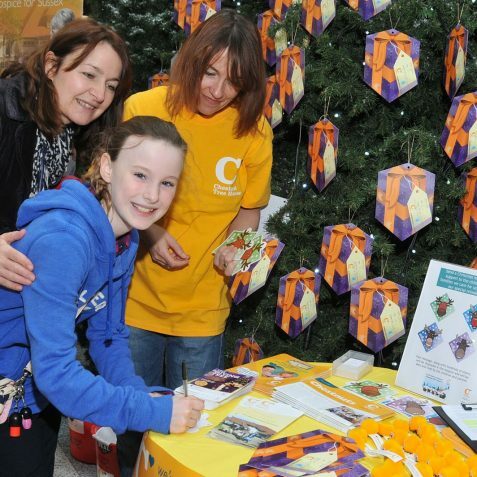 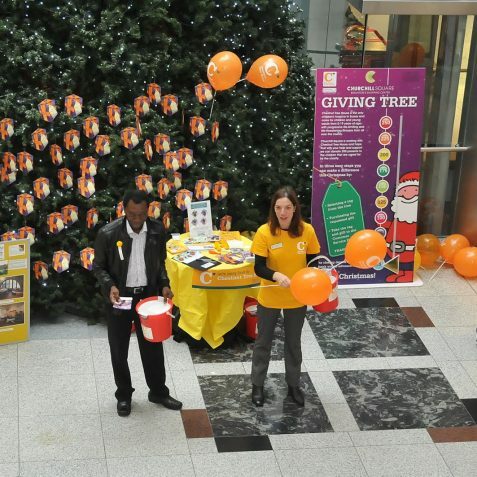 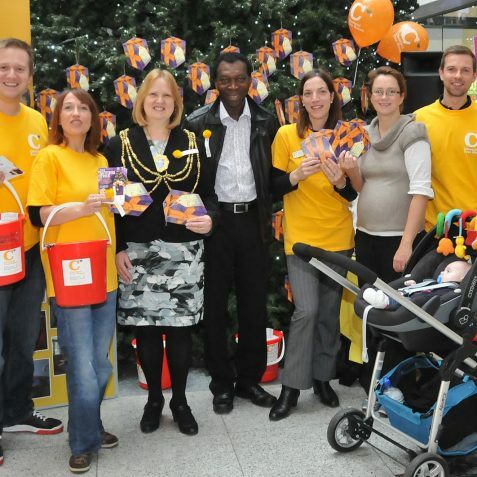 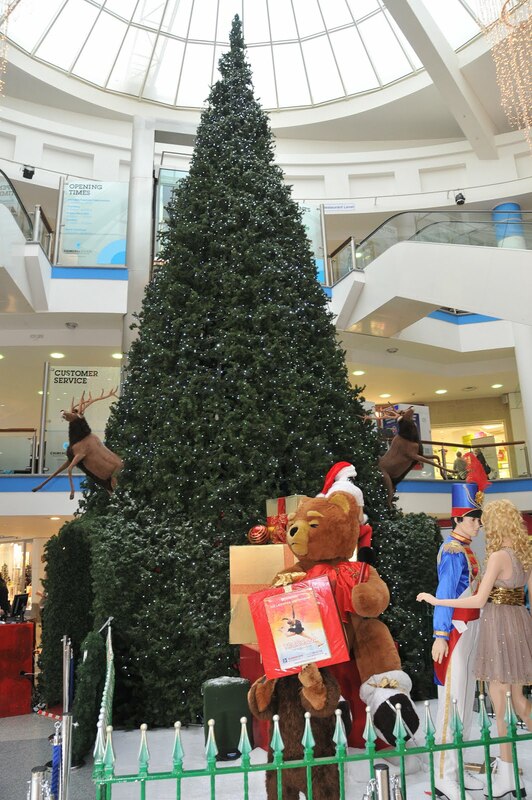 Saturday 26th November saw the arrival of the Chestnut Tree House Giving Tree at Churchill Square Shopping Centre. 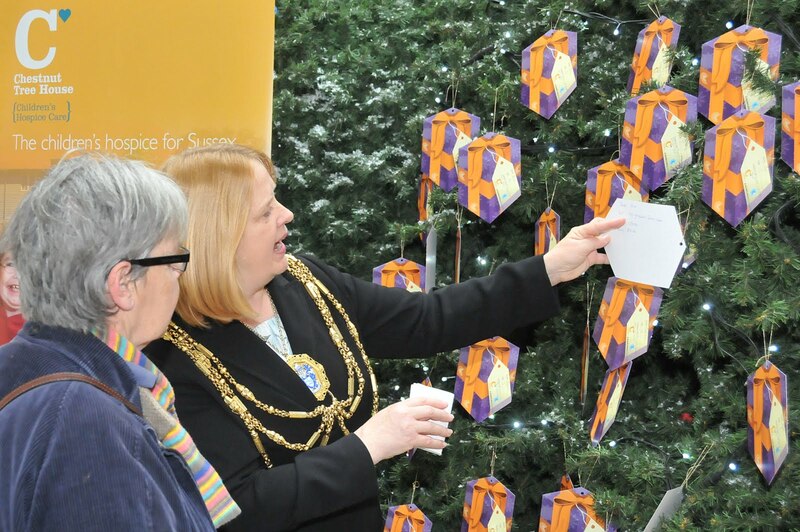 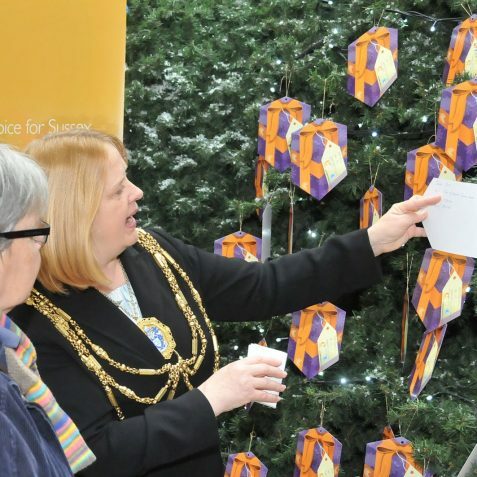 The tree was officially opened by the Mayor of Brighton and Hove, Councillor Anne Meadows and Ambrose Harcourt, Patron of Chestnut Tree House. 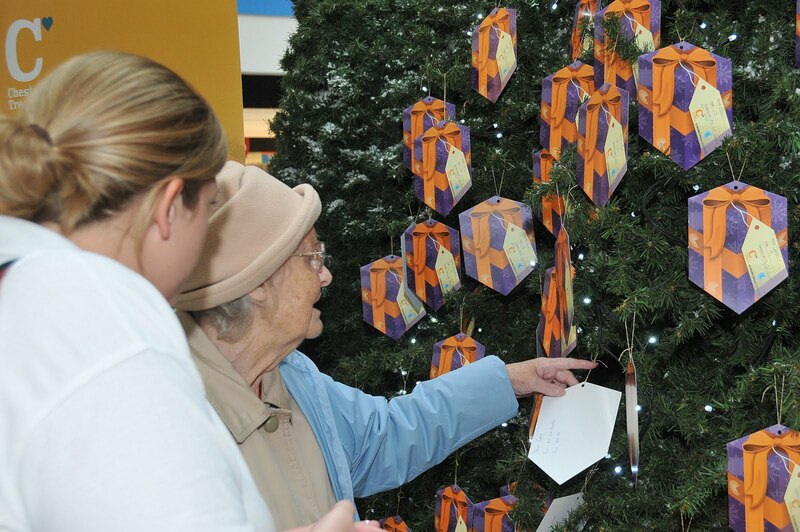 Located in the Lower Mall, the tree is be covered in gift tags containing Christmas wishes from children who use the services at the hospice. 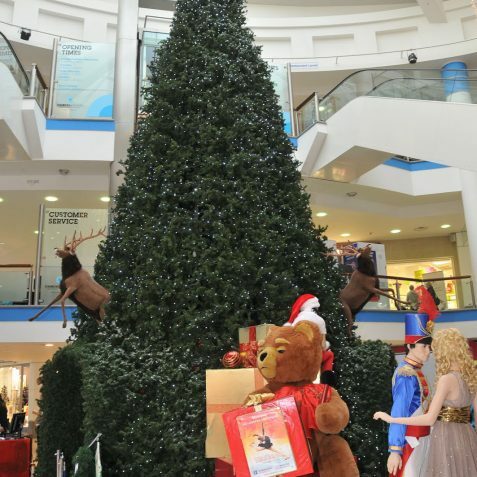 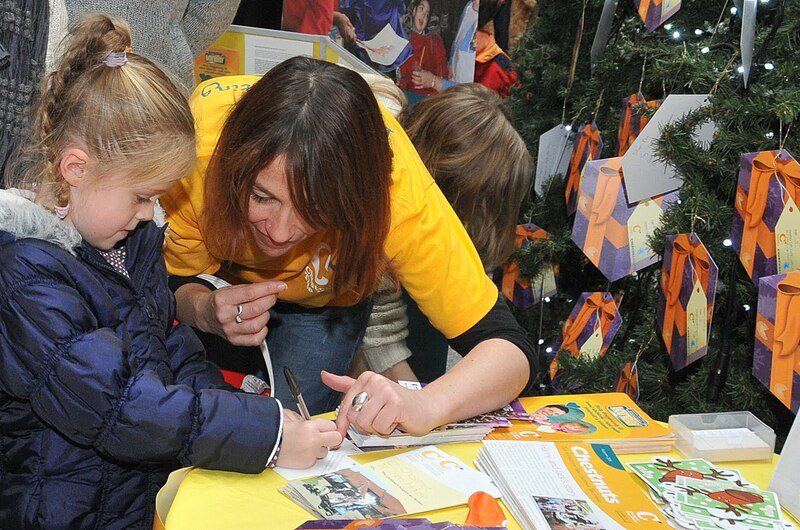 Brighton shoppers are asked to remember the true spirit of Christmas and help make children’s wishes come true. 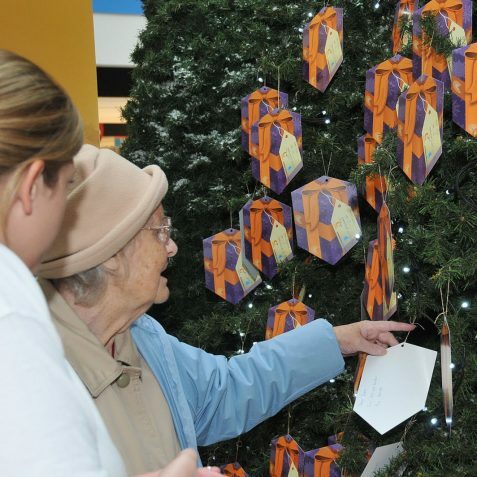 People are asked to select a tag from the tree and pick up an extra present as they purchase gifts for their loved ones. 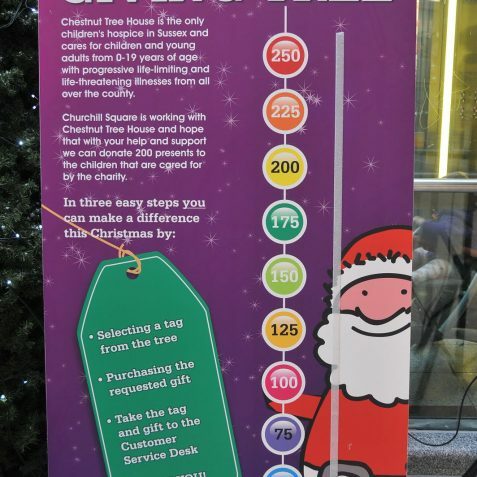 The Giving Tree will be located in the Centre until 23rd December and all gifts will then be taken to Chestnut Tree House in time for Christmas Day. 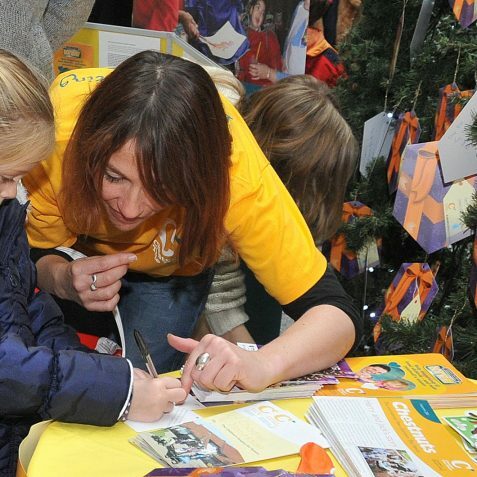 Chestnut Tree House, is the only children’s hospice in Sussex and provides palliative care for children and young adults from 0-19 years of age with life – limiting and life-threatening illness from across country. 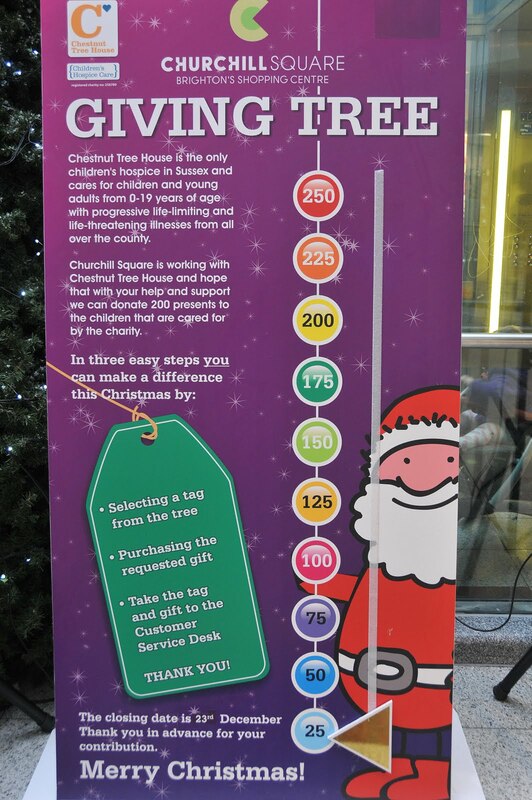 This year’s Giving Tree appeal aims to make Christmas a truly magical experience for all the children and families of Chestnut Tree House to treasure. 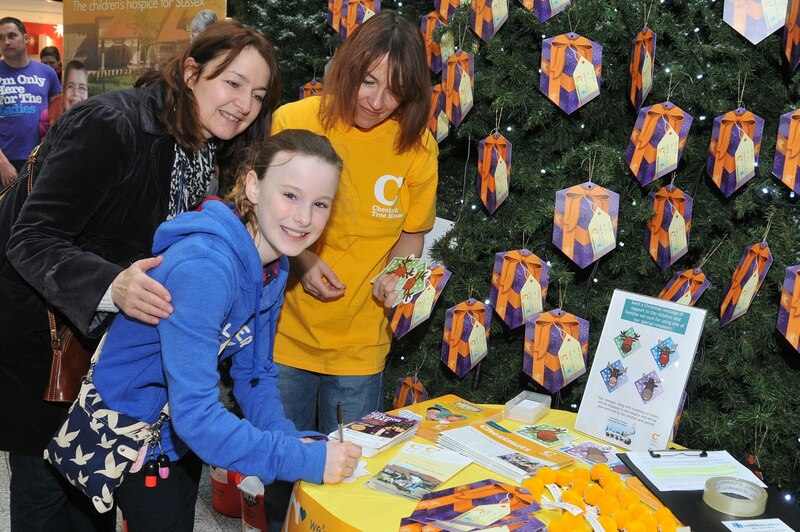 If you would like to find out more about the work of Chestnut Tree House you can find their website here.